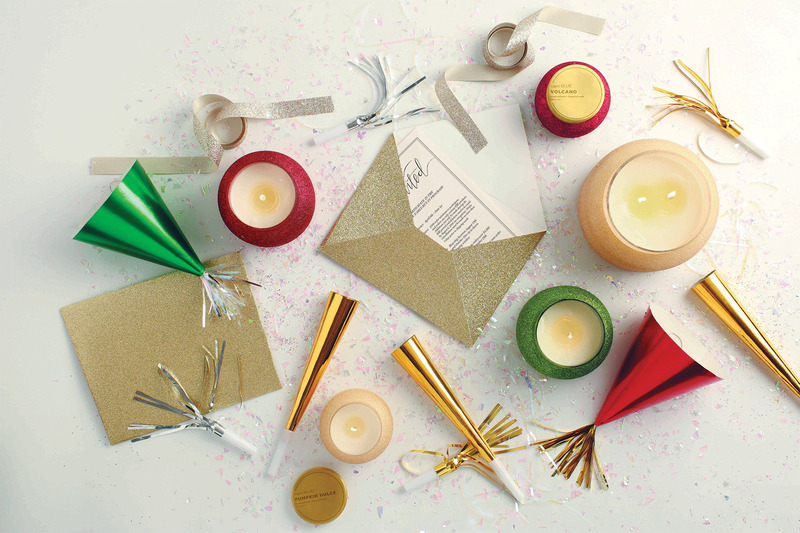 This candle is festive, sparkly and fun!! Makes me want to throw on a party dress, slip on my highest heels and grab a glass of Champagne! Speaking of which, I know this candle is called Alpine Juniper, and the description is “juniper & fresh citrus with balsam fir”, but there is something more to it than that, much more. I get an effervescent, sparkling champagne punch kind of fragrance with a sprig of balsam fir and a slice of orange on the side. Must be the fresh citrus, or maybe it’s all the shimmery, twinkling glitter that has me a bit dizzy but, I can swear I smell champagne! Once lit, the balsam does begin to take over more, making this a brilliant holiday candle. It’s not heavy, it’s fresh, lively and carefree. 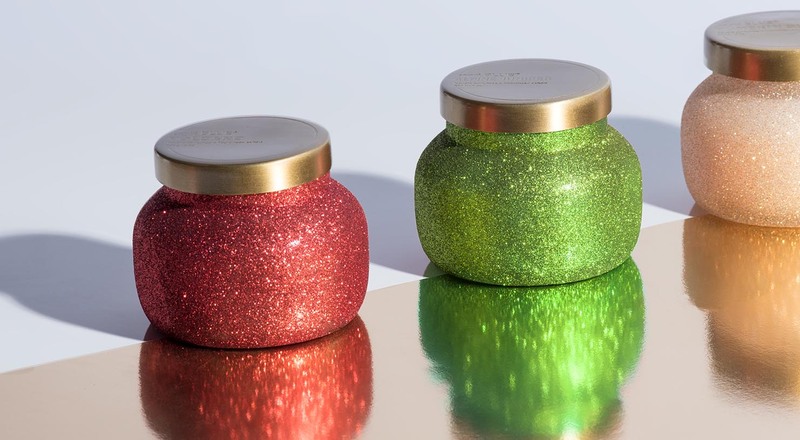 The green glitter jar sets the mood for any party or just light it up and have your own party, revel in the fun, make merry and just plain ole have a good time! I know my 20-year-old kids will try to snag it from me when they see it, going to have to hide this one for sure!